Visa’s roadmap focuses on a number of key initiatives such as that relates to devalue data by removing the sensitive data from the ecosystem and making stolen account details useless, or that on harnessing data by identifying potential fraud before it occurs and increase confidence in approving good transactions. The initiatives also cover data protection by implementing safeguards to protect personal data as well as account details while empower everyone, including accountholders, third party providers and merchants, to play an active role in securing payments. “We are proud to be launching our Vietnam Future of Security Roadmap. Securing the commerce ecosystem is our highest priority and one we view as a shared responsibility between payment networks, consumers, banks, and the government,” said Dang Tuyet Dung, Visa’s country manager for Vietnam and Lao. “Technology has enabled new innovative ways to pay and be paid, but it has also brought unique risks. 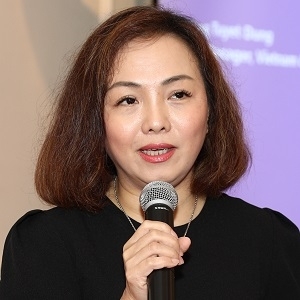 To stay ahead of fraud, we need to work together and give security the same attention and investment as we do the innovations driving new commerce experiences,” she added. The release of Visa’s Roadmap comes at a time of rapid change for payments in Vietnam with innovations such as mobile payments to enhance the payment experience for consumers. According to Visa’s recent Consumer Payment Attitude study security remains a key consideration for consumers across Southeast Asia with 67 per cent concerned about the safety of their personal information when using their mobile phone to make payments. When asked specifically about what their top three concerns were when using their mobile phones to make payments, consumers in Vietnam said losing their phones or having their phones stolen, their phones getting hacked or someone intercepting their data, and malware or viruses being installed on their phones. Visa works with industry stakeholders including financial institutions, merchants, policy makers, law enforcement and account holders to secure payments. The Visa Future of Security Roadmap is the product of comprehensive consultations and collaboration, making it an authoritative document on Vietnamese payments security. Visa is delivering roadmaps around the world to ensure the security of the global commerce ecosystem, as well as working with Vietnamese industry bodies to align security initiatives.